Where Does NBDP Fit in GMDSS and How to Use It ? Raise your hand if you think NBDP is more ignored equipment of GMDSS system. If I was with a group of deck officers right now, I am sure I would see many hands raised. NBDP is surely an ignored equipment. But it is ignored because NBDP is a dead horse, hardly used and gathering dust at one corner of the bridge. Even only few coast stations these days have the NBDP facility. All agreed but if we have this equipment on board, we must know about it. That remains the logic for all the equipments on board. So in this post, I will go through all that one may have to know about NBDP. In simple terms, NBDP (Narrow Band Direct Printing) is a telex. A way to communicate with text rather than by voice. It is said that NBDP was introduced in the GMDSS to help seafarers whose first language was not English. They did not have to speak to broadcast their distress message, instead they could type and send. So what can NBDP do..
You can easily draw an analogy between NBDP and whatsapp or viber. Is NBDP really required on board ? But if you had noticed, on some ships you will find that there is no NBDP. 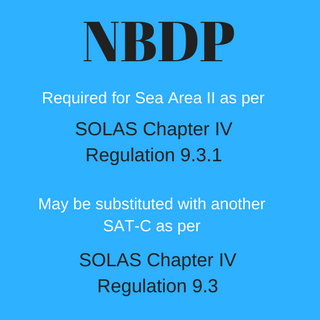 This is because as per SOLAS chapter IV, regulation 9.3, the requirement of having NBDP can be fulfilled by providing an additional Inmarsat ship earth station. So on the ships with no NBDP, you may find additional Sat-C terminal. What is ARQ and FEC mode ? If you wish to know about NBDP, you must know about ARQ and FEC. These are two modes of transmission for NBDP. ARQ mode is used for one to one communication. For example when our ship wish to communicate with a specific ship or coast station. When other station presses “Over”, you again become the transmitting station and this process goes on. 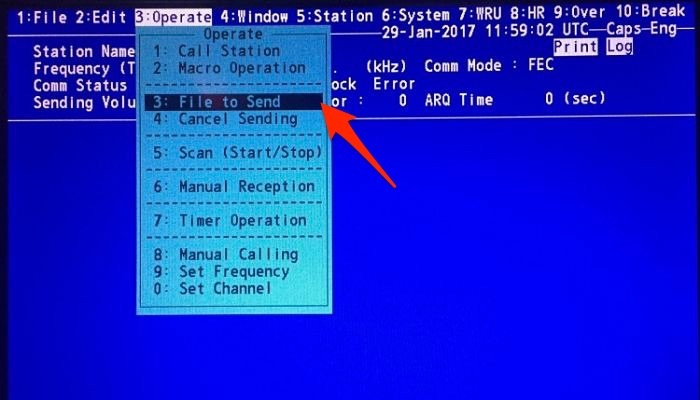 FEC (Forward error correction) mode is for one station to one or many stations type of communication. 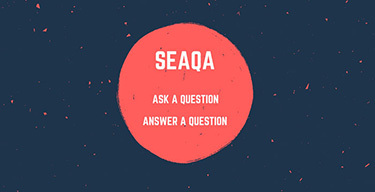 This mode is used for broadcasting the message. 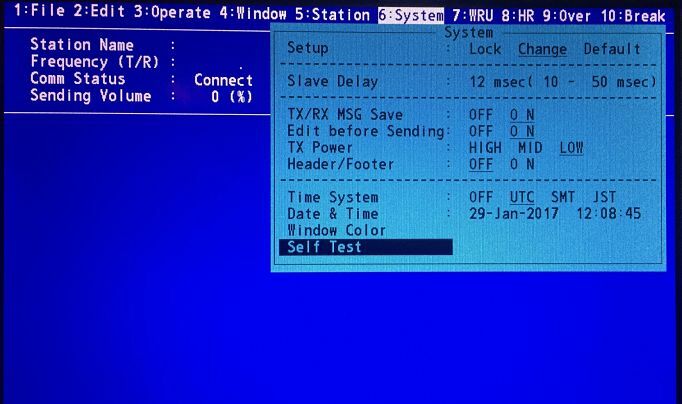 For example if a ship need to broadcast a distress telex message, FEC mode should be used. Unlike ARQ mode, FEC is only one way. That is, with FEC we can transmit our message and then end the communication. 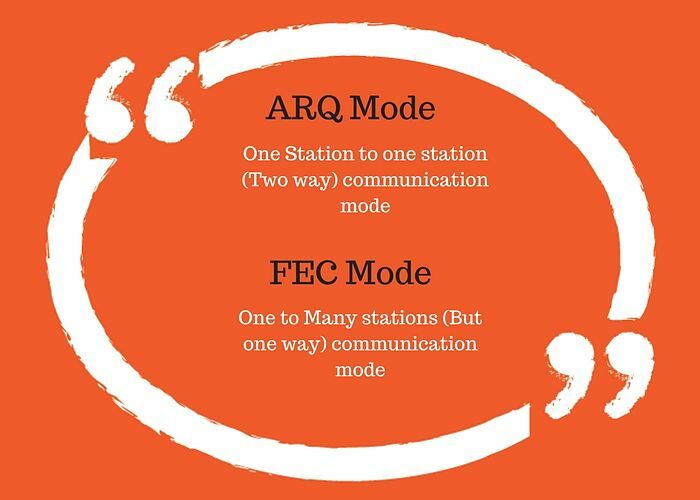 So if you want to communicate with other station, you need to choose ARQ mode. But if you just want to transmit your message, you can choose FEC mode. Options on NBDP screen and what these mean ? A NBDP screen typically looks like this. The options you see on top of the screen are accessed by function keys. I see sometimes the keyboard functions keys marked with these options for ease of use. Even if it is not there, we can always mark it like this. 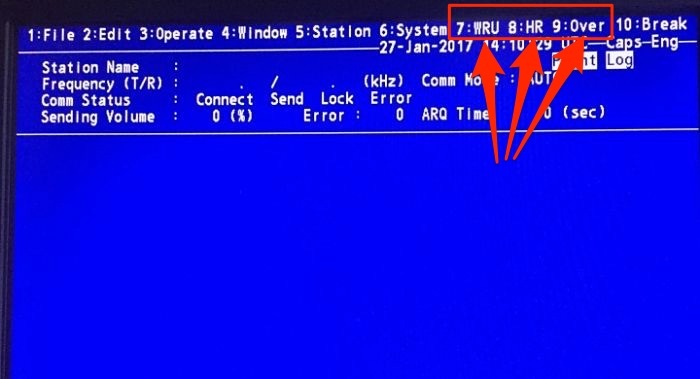 WRU (Function Key F7): who are you ? This is the way identity is exchanged between the stations interacting with each other. When you are connected with a station and before you start transmitting any telex message, you need to press these two keys. This will send your identity and ask for the identity of another station. Logically this is similar to how we start any communication. 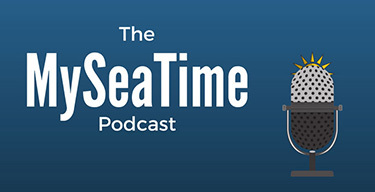 For example, during R/T communication we pronounce the ships name and call sign. 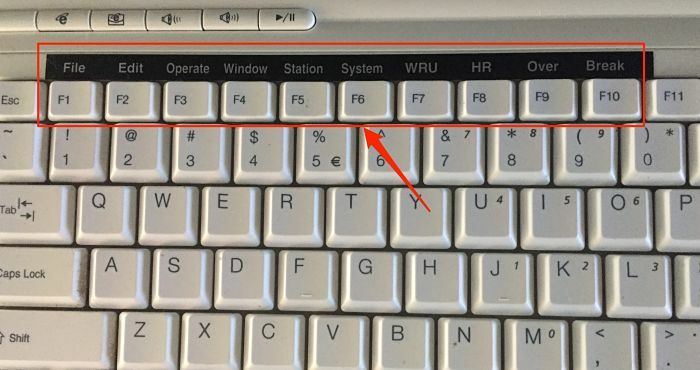 The Over (Function key F9) is used to switch the direction of traffic. The information sending station becomes the information receiving station and vice versa. As two way communication is only possible in ARQ mode, Over key is used when communicating in ARQ mode. One station finishes his message, presses “over” and then waits for receiving the message of other station. The function of this key is similar to saying “over” over walkie talkie after we finish our message. This is the code that you will see when communicating through NBDP. The meaning of this code is “Go ahead”. When you see this code on you screen, this means that now you are the transmission station and you are ready to send your message. Again this code will appear in ARQ mode. Manually type the message on the keyboard. In ARQ mode, when you are the transmitting station, you can just start to type the message and it will be received by other station as you type. Or you can choose the file to send and it will be transmitted to the receiving station. How to send / Receive a routine message on NBDP ? Now that we know something about NBDP, let us discuss how we can send a routine message to another ship on NBDP. I will show this on Furuno GMDSS station. First thing is to know the MMSI number of the other ship and agree on the working frequency. To communicate with another ship, both your station and station of other ship need to be on same frequency and NBDP station should be active. To make the connection with other ship station (on Furuno equipment). Press the function key F3 to open operate menu and set the working frequency by choosing option 9. Select the ARQ mode (remember for one to one communication we have to use ARQ mode) and then input the ship’s MMSI number in the ID. Now if “Connect send Lock” is highlighted on screen, you are all done to communicate with the other ship. 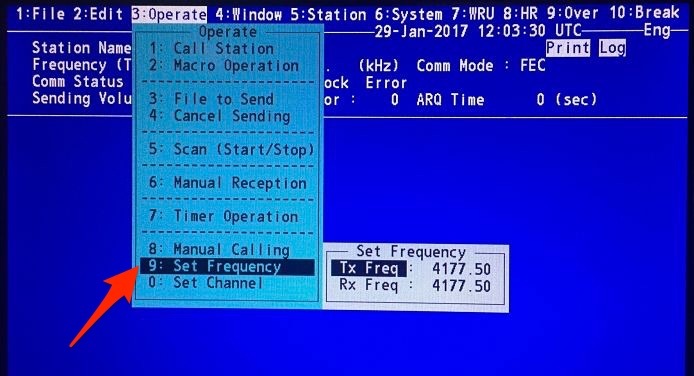 When you are connected with the other station, it will show the station’s ID and frequency you are communicating on. 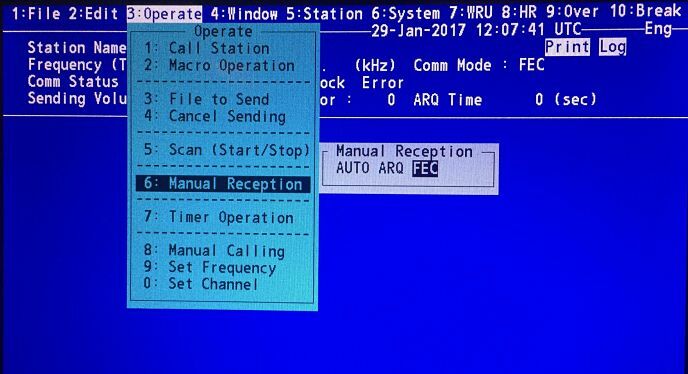 Exchange answer back by pressing F7 (WRU) and then F8 (HR) keys and start communicating. As I said earlier, when you are done with sending your message, press F9 (over) key to switch the transmission to other ship. When you see GA+? on your screen, it mean that the other station has switched the transmission to you and you can again start to transmit your message. 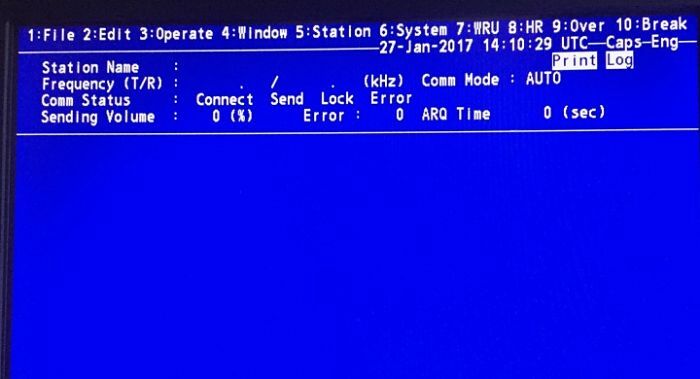 After exchange of answer back, press F10 (End) key to disconnect the line. 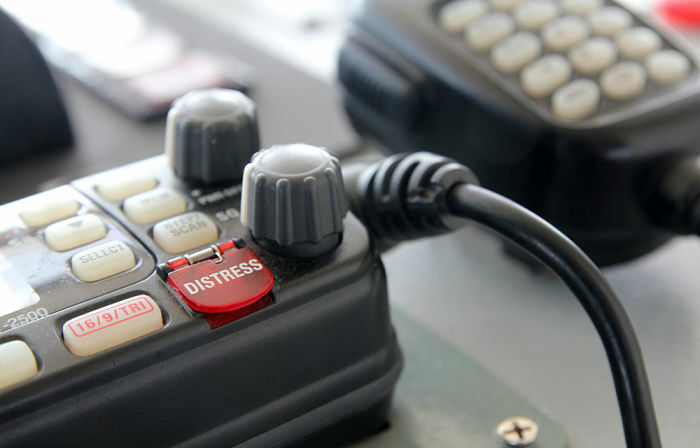 How to transmit a distress message on NBDP ? Now when we have transmitted the DSC alert, how a ship receiving it know where they can listen to your distress call ? First is the Mode of communication it will broadcast its message. That is if the message will be broadcasted on RT or NBDP. J3E is the code for RT communication and F1B is for NBDP. Second, the frequency on which the receivers need to switch on. The frequency will be the corresponding frequency on which DSC alert is received. After you have sent the DSC alert, switch to NBDP corresponding frequency. Either way, you have to follow these steps. Press Function key F3 and select manual call. Choose the FEC option. Remember for broadcasting to all the parties we cannot use ARQ mode which is for one to one communication. Leave the station ID as blank. This is to be entered only if we are sending the message to a particular station. Press enter. 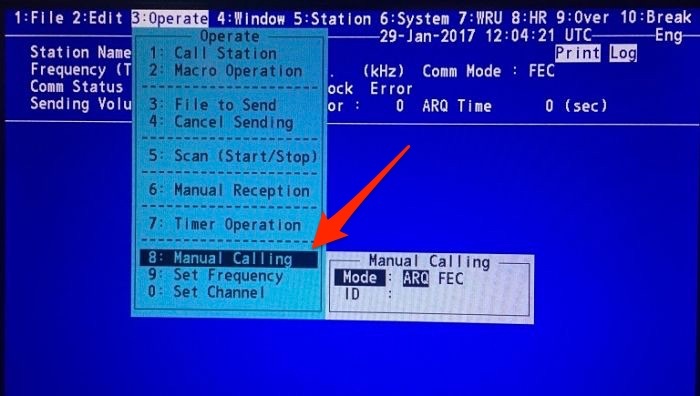 If the frequency is clear, you will see Connect Send as highlighted. Now you are ready to either send your message by input to the keyboard or by choosing a pre-typed file. To Send the stored message, press function key F3 and then select “File to send” option. Press enter and your file will be transmitted. How to receive a distress communication on NBDP ? When you receive a distress DSC alert. Check if the telecommand is J3E or F1B. If it is F1B, you need to be on NBDP to receive the distress message. To receive the distress message on NBDP, switch to NBDP frequency corresponding to the frequency on which DSC alert was received. Press the function key F3 and choose “Manual Reception”. Select FEC mode and press enter key. When a call is detected, Lock will get highlighted. When the line is connected, [Connect] is highlighted. When the receiving the message is complete, the NBDP connection will automatically cancel. The received message will be stored in the Floppy (or SD card) of the NBDP. Now that we know how to operate NBDP, testing of NBDP should not be an issue. Actually NBDP does not require much of the testing. There is a self test in the equipment that should be done as per the maker guidelines. Apart from that, it is a good practice to communicate with another ship at least monthly and keep the records. NBDP is hardly put in use onboard ships. 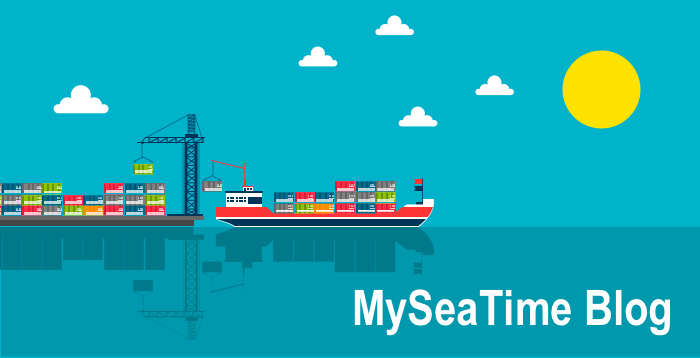 Many ship owners are now preferring to have another set of Sat-C on board rather than having NBDP fitted on board. In spite of all that, if we have NBDP on board, we must know about how to operate it. After all if it is on board, it is very much a part of GMDSS station. Very well explained. These notes are useful for GMDSS exams , on board operations , PSC and vetting inspections. NBDP has always been bit difficult to understand. Sir it was the best of all what i have read about NBDP. Glad you liked it Aakar..
By actually looking at the bridge equipments. Also list of all the radio equipments provided is there in Form R of the safety radio certificate. Glad to hear that Oli..
Dear sir, gd day, are you familiar with jrc jue 85 equiptment how to test nbdp ? Thanks in advance. The JUE 85 is a Sat C system. The concept of NBDP does not apply, as in HF/NBDP. True, the C system is sending data, and there is also a hand shake, between your system and the INMARSAT, but the best test is to send a TELEX routine, or an email. NEVER send a distress as a "test" message. Hope that helps. Very informative. I had been reading a lot from your articles during my stay on board and on my vacation time. Good Job sir! Dear sir, very good article and many thanks! By the way, do you know is it needed to be printed for received DSC distress message? I didn't find it is required in the IEC61097-3 (DSC ）. However I noticed there is such port in Furuno VHF stations. do you know in which scenario that the content of the DSC needs to be printed? I am a new engineer developing marine communication equipments. Thanks in advance! DSC messages do not have to be printed. They are stored in a buffer inside the DSC, with the older messages deleted as the buffer is filled up with newer messages. Well explained and useful,thank you. Dear sir, wherefrom I can get NBDP Coast Station ID Number, channel number and frequencies for the coast stations of China, Japan, Australia and Philippines. Kindly help me. Thanks in advance. ALRS you can find all these informations. Thank you once again sir.Found very helpful.Keep moving. Very well explained, Sir. Could you please let me know the procedure for shore communication test on NBDP. Text need correction. NBDP is required in A3 (first concep x1) and A4 (x2). SOLAS chapter IV, regulation 9.3.1 is about Epirb. How to test NBDP ship to ship? Plz explain the procedure. Jrc NBDP fitted on board. Please include the CANCELING A FALSE DISTRESS ALERT in HF/NBDP ( in case of FALSE transmit ).